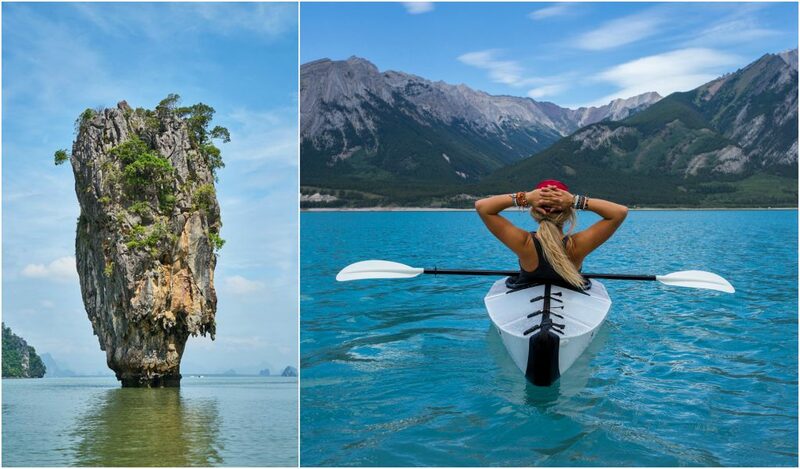 Tall limestone islets rising from the Phang Nga Bay and water-filled caves are awaiting adventurers on Karst Islands of Phuket, Thailand. The breath-taking scenery and narrow passages are so absorbing that the producers of James Bond – The Man with the Golden Gun decided to make it their film set. Although challenging, kayaking through the rock formations and admiring the stalactites from your boat is a must-do for thrill-seekers. The turquoise water and golden beaches would even make Bond take a break from his mission. Click here to find out more information on how to book a holiday in Phuket, Thailand. Situated in the northern part of Tanzania, Serengeti National Park is the ultimate wildlife sanctuary. At the moment, only around 100,000 people visit Serengeti every year, but the lucky ones who get to go can see lions, gnus, zebras, buffalos, gazelles and crocodiles. 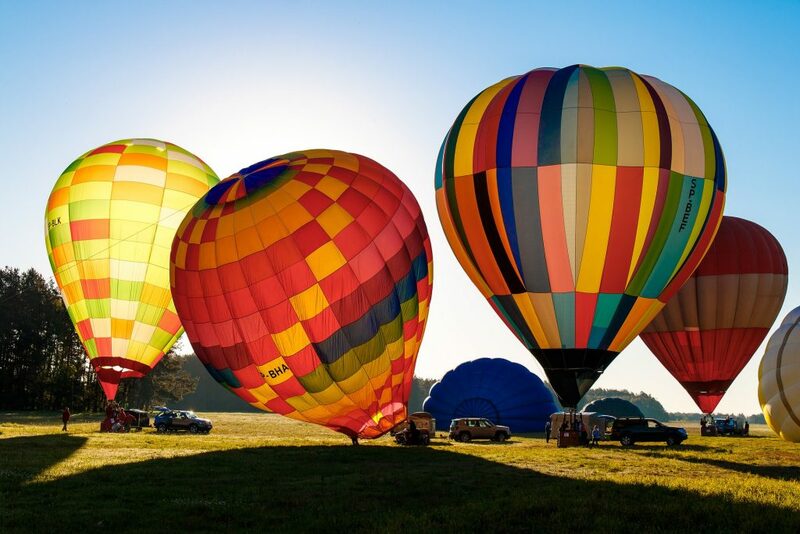 Get that adrenaline pumping by taking a safari trip on a hot-air balloon. If you plan your holiday between the months of December and July, you’ll be able to see the mass wildebeest migration. Go between June and October if you’re more interested in seeing big cats and predators. Need help booking an amazing holiday in Tanzania? Click here to get expert travel advice. If you are looking for an extraordinary adrenaline-pumping experience, then we suggest the Shark Cage Dive. Get face-to-face with the Great White Shark on an exhilarating cruise, created to unleash the daredevil in you. The journey begins in Port Lincoln, Australia, where you set sail in the shark-infested waters of Neptune Island. If you want to get up close to the amazing sea life, but don’t fancy being locked in a cage, don’t worry! 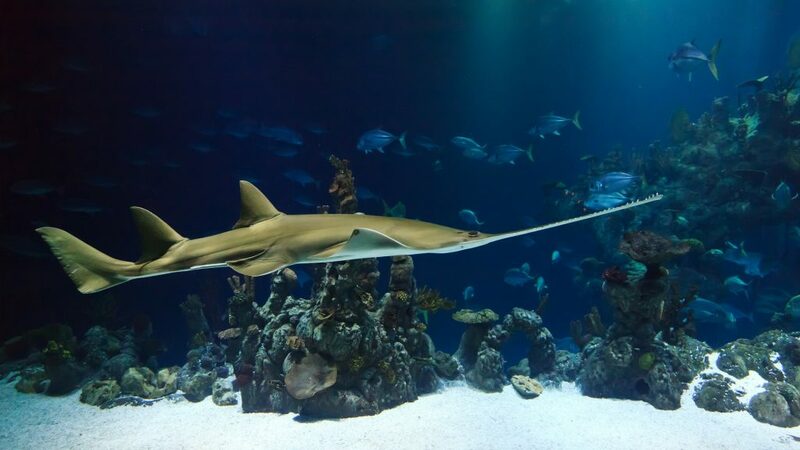 You can do it from the safety of a glass-walled Aqua Submarine: enjoy the 360 view without getting wet. 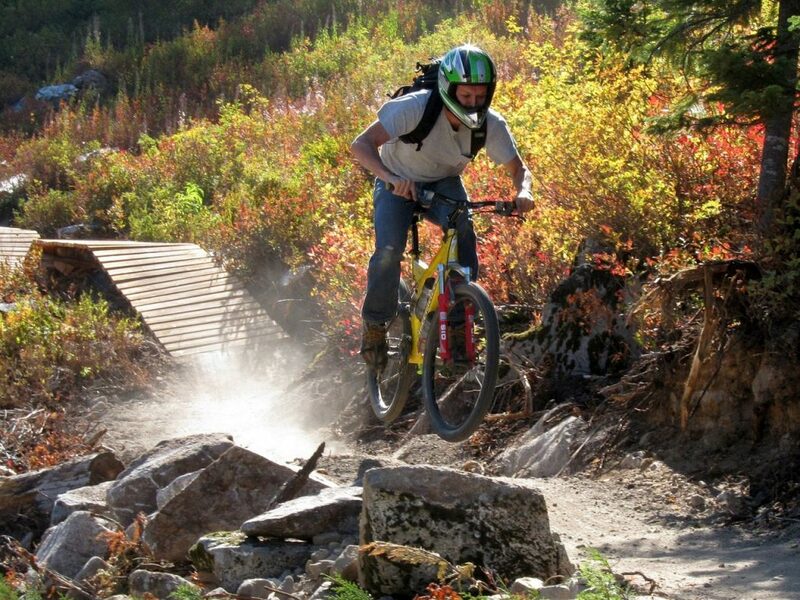 For the outdoor and sports lovers, we suggest a bike trekking adventure in the beautiful Dolomites Mountains in Italy. The dramatic mountain formations of the Dolomites, vineyards and docile fields surrounding Lake Garda make it a unique location. The Dolomites offer year-round beauty, but if you want to go on a cycling or mountain climbing adventure, then summertime is the best time to visit. And why not combine adventure with a comfortable stay? Find out more about the best places to stay. Experienced divers frequently say this fabulous Ecuadorian diving destination is the pinnacle of their diving careers. With a varied marine life and unbelievable non-diving adventure cruises, many came to the conclusion that the Galapagos Islands have the best liveaboard diving cruises in the world. They are home to the world’s only marine iguana and the most northern-living penguin. Coral reefs can be found it the same waters as fur seals. It is one of the only places where tunas, manta rays, and hammerhead sharks can be seen close to shore. 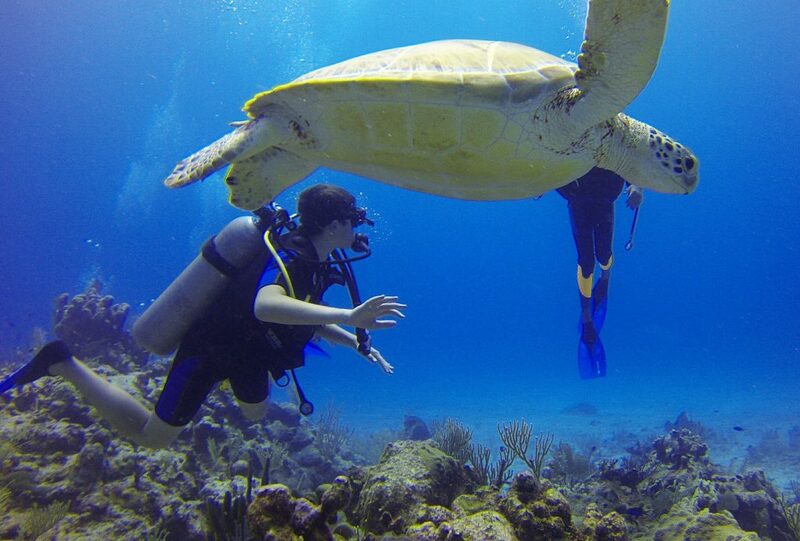 No other place on Earth displays such a diversity of sea life. Plan the perfect Galapagos tour today. Spread your… parachute and fly like a bird over one of the most spectacular drop zones in the world! Dubai is undoubtedly one of the best locations for skydiving, and with experts with over 200.000 jumps on board, you have nothing to worry about. Just enjoy the 4.000 metres fall above the iconic city. A cameraman will record your amazing experience so you can share it with friends and family and have this memory forever. The free fall takes about a minute before the instructor opens the parachute and you begin a relaxed five-minute descent over the impressive Palm Jumeirah. Make the trip perfect by choosing one of our luxurious resorts here. For mountain lovers, we prepared a sensational, culture-infused destination: Cordillera Blanca, Peru. The numerous passes make it suitable for beginners and experienced climbers altogether. Many adventurers who come to Peru may reach several summits over 6,000m in a two week stay. The best season for climbing is the dry season, from June to September. The peaks of Ishinca (5534m) and Pisco (5752m) are suitable for beginners. Alpamayo (5957m), commonly considered Peru’s most striking mountain, is fit for intermediate climbers, while Huascaran (6768m) is the experienced climbers’ choice. The most popular place to stay while exploring the area is Huaraz, the largest town in the region. To find a great hotel for your thrilling break, check out our website. Lastly, we have yet another James Bond location! 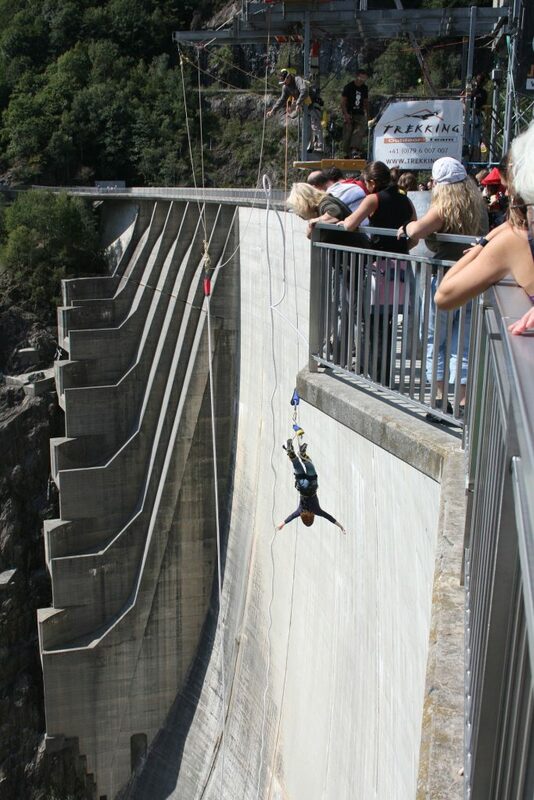 The Verzasca Dam in Ticino, Switzerland, also known as the 007 Jump, is the highest bungee jump location in Europe, with an impressive 220-metre fall. The location became famous after it was featured in the James Bond – GoldenEye film and is visited by thousands of adrenaline junkies each year. 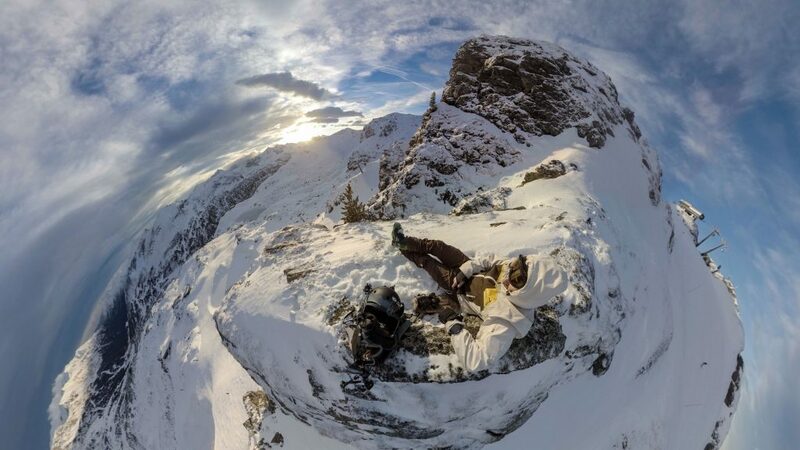 Thrill-seekers will definitely not be disappointed with this impressive location. Windsurfing, scuba diving and cliff jumping are also available at the nearby Lake Lugano.